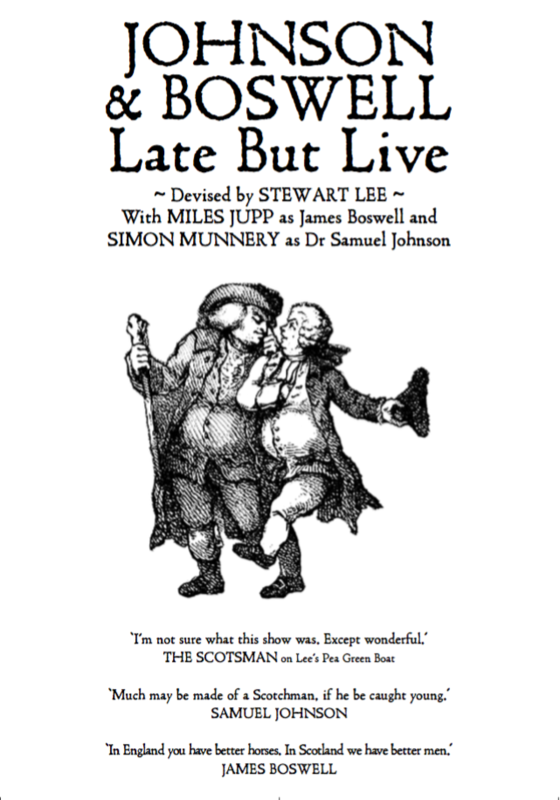 Late But Live was the banner under which two historical comedy plays starring Miles Jupp & Simon Munnery fell under. 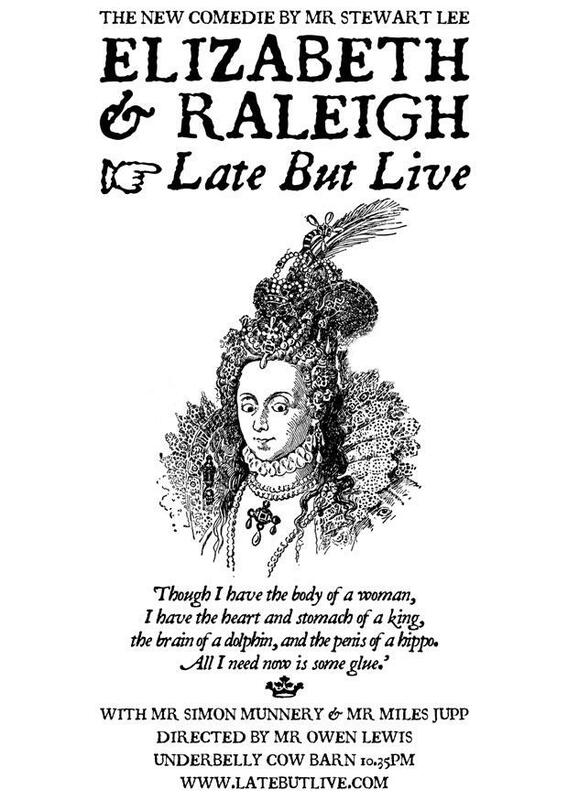 In 2007 Johnson & Boswell played at the Traverse Theatre during the Edinburgh Fringe, and was followed in 2008 by Elizabeth & Raleigh, at the Underbelly’s Cow Barn. Elizabeth and Raleigh moved up from ★★ reviews to ★★★★★ over the festical run as the cast and crew overcame technical problems day by day. Everyone involved was ace. It went on tour from September 2008.